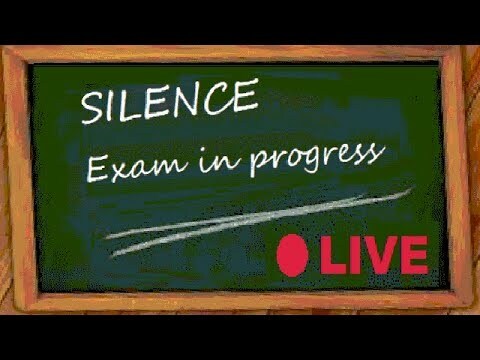 I recently gave one of my students a mock exam just before their real exam and asked permission to video it so as to recreate some of the pressure of the real exam. What you will see is exactly as it was, no retakes, no editing out mistakes, for you to get an idea of what kind of mark can be expected from various performances and also so that the student could feel that pressure of doing one's best performance on just one attempt as one would in the exam. Below the video I have also given some comments and marks as would be expected in a real exam. A well chosen tempo with some dynamic contrast conveyed the character well. There were a few slips and hesitations which spoiled the continuity a little but overall a merit of about 24 marks for this piece could be expected. The first half would have been perfect if it had been an octave higher in the OTHER hand. The second half struggled to represent either pitch or rhythm of what was printed and so unfortunately this would probably score only 8 marks, below the pass mark of 14.